Our company introduced the very first chemical vapor deposited (CVD) monolayers of 2D materials back in 2012. Our first products CVD MoS2 and WS2 monolayers, as well as lateral / vertical heterojunctions were commercially made available to our clients. Between 2011-2017, our research and development team located in Menlo Park, California, USA has developed many novel techniques to achieve large area fully continuous (or isolated triangles) of CVD monolayers of different 2D Materials. 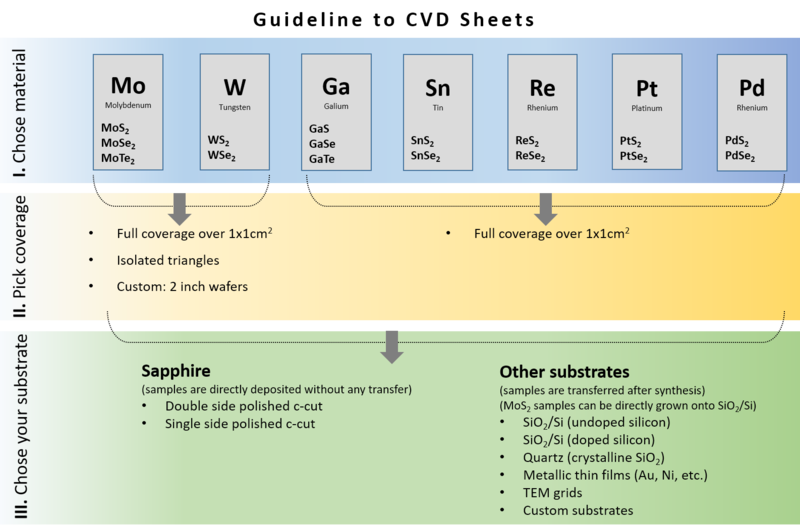 Currently, we offer monolayers of MoS2, MoSe2, WSe2, WS2, SnS2, SnSe2, ReS2, and ReSe2 on a variety different kind of substrates including sapphire, quartz, SiO2/Si, PET, and designed substrates (by customers) at rather affordable prices. 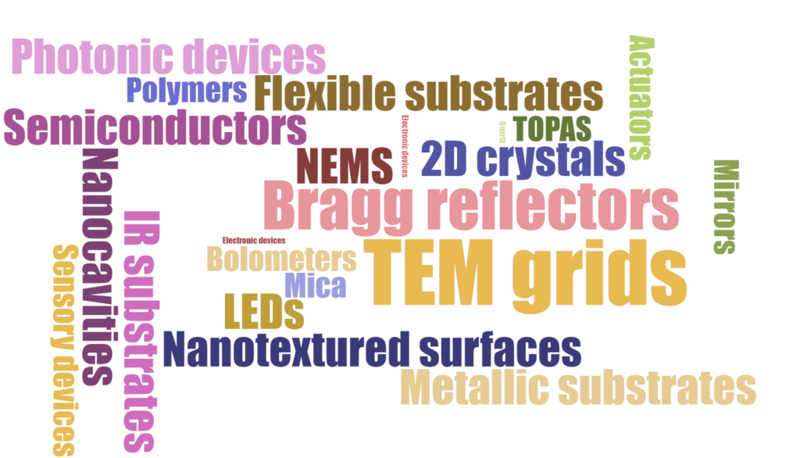 Currently, our R&D team is working full time to commercialize monolayer GaSe, GaTe, black phosphorus, MoTe2, WTe2, Bi2Se3, Bi2Te3, FeSe, and silicene.